I am frequently asked why Essential uses phenoxyethanol as a preservative in many of our “natural” cosmetics, when phenoxyethanol is a synthetic compound and is not rated as “safe” by the Environmental Working Group, Skin Deep. Today I’d like to cover this from a few different directions, and while I am doing so, please know that I always welcome feedback and suggestions. 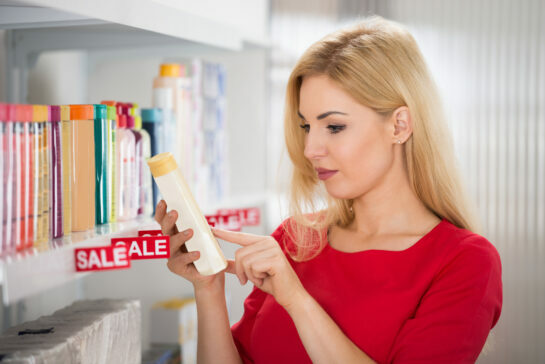 As Chief Formulator for Essential, I am always on the hunt for a better preservative, but it must be as robust as phenoxyethanol; meaning it must have the ability to give a shelf life of longer than 1 year, it must be able to work synergistically with other ingredients, and it must not be odor-offensive. Price is another thing to consider; broad spectrum preserving options generally require a lot higher concentration than the 1% that phenoxyethanol is used at, and the price per pound is generally five times more expensive. We sell Essential stock products on our website for people to buy in bulk and OPEN the product to either add additional ingredients, or simply repackage it. Please note that every time air is introduced to a product so is dust, bacteria, mold spores, and so on. An effective preservative is absolutely critical to ensuring the product is clean and stable for the end user. Let’s first talk about why phenoxyethanol is perceived so negatively. The FDA and other agencies state that phenols are bad (as a side note, phenol is prohibited in the EU). Although phenoxyethanol starts with phenol, phenol has almost no use in cosmetics. Phenoxyethanol (PE) is made from the reaction of 1 mole of ethylene oxide on 1 mole of phenol. The purity of the PE is 95% (fragrance use is 99%) with the diether as the major other part. There is no free phenol in PE. So when you read a negative review of phenoxyethanol and they specifically call out “phenol”, you can assume the author does not understand the science and facts involved in the basic chemistry. Secondly, let’s talk about phenoxyethanol from EWG’s Skin Deep standpoint. If you really want to be qualified for EWG Verified for your products, please know that your products can still contain phenoxyethanol and score at a 1 on the EWG Skin Deep rating. Phenoxyethanol might be shown as a 4 on the EWG Skin Deep, but once you start blending it into the mix of other ingredients (which might all score as a 1) your overall product becomes a 1. So, with that said, if you think that Skin Deep is vilifying phenoxyethanol, all they’re doing is showing the facts of the ingredients when used by itself. Now, please note that EWG’s Skin Deep is a site that every cosmetic chemist or formulator I have ever met hates, (strong word, but the truth) because the consumer reads it as if it’s “The Truth.” It might be true as far as it goes, but it’s really just a narrowly focused snapshot that requires the user to understand more information than is given. Looking at phenoxyethanol on EWG Skin Deep, we see it’s getting a score of 4 – but it’s getting that rating because as a stand-alone ingredient, it’s an irritant to skin, eyes and lungs. As previously mentioned, this would not be the case for the end user of the cosmetic, yet consumers will read this rating and make assumptions which are often incorrect. I wish Skin Deep would do a better job of explaining that their scores are related to the stand-alone ingredient; it might provide more useful information to consumers and make the formulator’s lives a little easier. Let’s look at a faux formula (do not try this formula at home, it is strictly meant to demonstrate a point) that would be submitted to EWG Verified. I have put the EWG Skin Deep rating next to each ingredient. So now let’s add those EWG Skin Deep numbers up. We will see we end with 12. We have 9 ingredients, so our overall average score of this product is 1.33, which would land as a rating of 1 in EWG Verified. As you can see there is often more to know than just a snapshot of information available. That is why Essential spends time researching the facts, understanding the science, and then takes all of the information available into account when choosing ingredients in formulations.